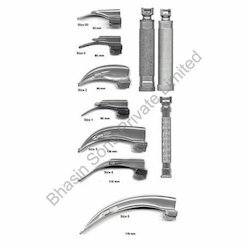 Our range of products include laryngoscopes with 7 blades and laryngoscope macintosh. Our organization is involved in manufacturing and exporting Laryngoscopes with 7 blades B-S 777, which are solely a perfect choice diverse use in incubation processes in hospitals and bio-medical research institutes. These units are manufactured in compliances with international quality standards. Our products are widely accepted for being cost-worthy and efficient. This equipment is made of stainless steel materials to ensure its robustness and reliability. 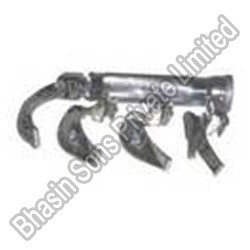 With sound industry knowledge and integrated approach in manufacturing and exporting Laryngoscope Macintosh. Our product attains ISO 9001:2000 certification for its effective performance. These are manufactured using premier quality steels to ensure its stability. It thickness, rigid structure and rust proof qualities adds additional glory to this product. In addition it endow with three sharp chrome plated curved blades and brass chrome plated battery.